Congratulations to Olivia Weaver and Lauren Hudson, two American study abroad students from the University of South Carolina, who were chosen to be Griffith College's Student Ambassadors for the academic year 2012 - 2013. 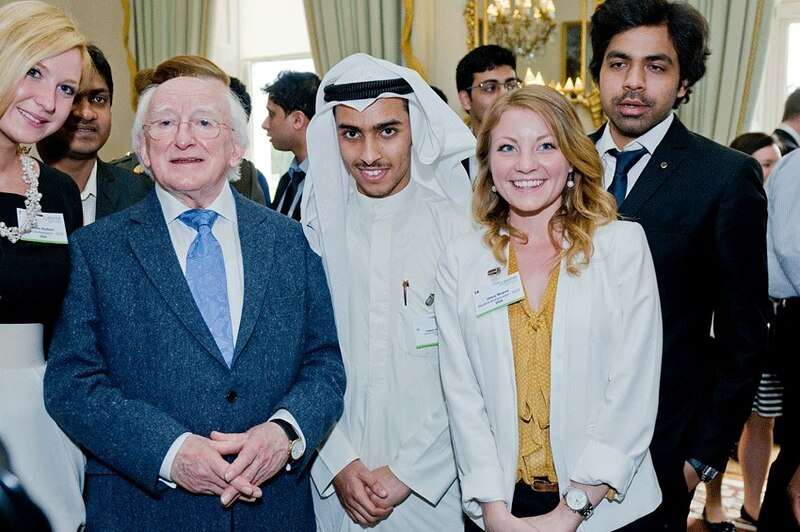 Last year, the two students named above were selected by Griffith College to represent them as their Education in Ireland student ambassadors and were invited to attend a reception at the Áras an Uachtaráin, the home of the President of Ireland. Throughout the academic year, Olivia and Lauren wrote blog posts about their experiences and travels in Ireland. Their blogs were then published on the Education in Ireland's webpage along with the other International ambassadors of Ireland. In November 2013, the Education in Ireland Student Ambassador Programme training day was held in Griffith College and was a huge success.